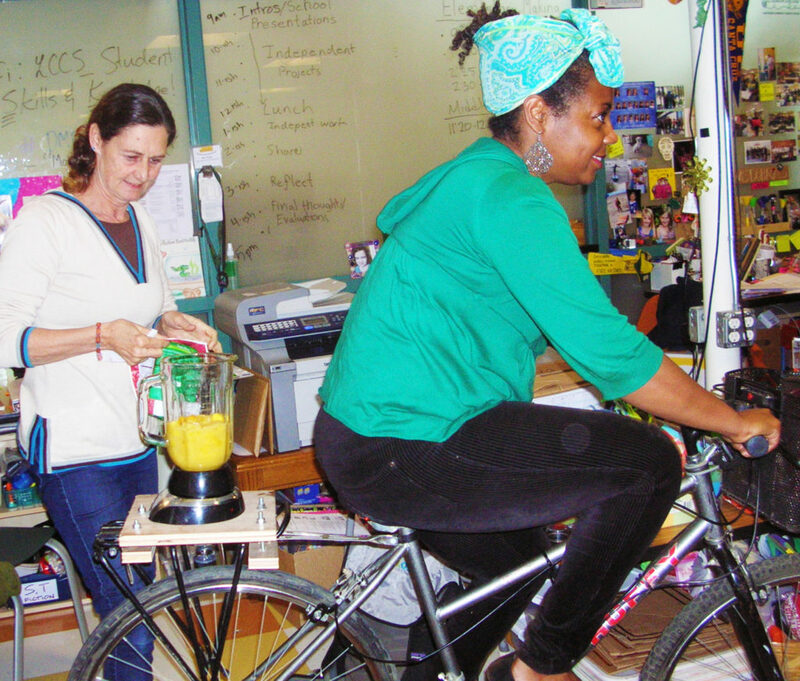 A bicycle-powered blender. 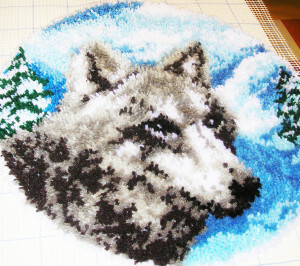 A hooked rug wolf portrait that lights up and maybe howls. 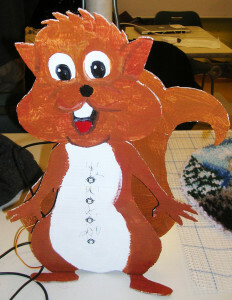 A squirrel that registers the noise level in a classroom. 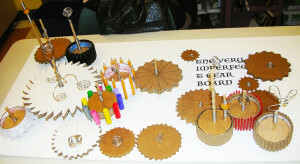 These are a few of the creations invented by Oakland Unified School District (OUSD) teachers who participated in the Maker Fellows program. What’s in your imagination? On the first day, Program Coordinator Parker Thomas asked teachers to share something they had “made” in their personal or professional lives. The list ranged from bookcases to novels, but Claudia Goodman-Hough, the artist-in-residence at Redwood Heights Elementary School, raised the bar when she said she had made an actual boat. Thomas raised it a notch higher when he said that he had made an airplane and gotten into and flown it. Comparatively, the things I have made in my life, as a teacher, writer and artist, are simple, non-vehicular objects, like drawings and stories and dinner, but the Maker Movement ultimately validates all forms of “making.” It’s a rising trend in which “Makers” create anything from re-imagined schools to computer programs to 3D-printed just-about-anything. And it is happening everywhere. Including in the Oakland Unified School District. Personalized Learning Director, Stacey Wang, said the OUSD Maker Fellows Program was teacher-driven. Teachers from La Escuelita Elementary School attended a workshop at the Lighthouse Community Charter School (LCCS), and asked for Wang’s assistance bringing “Making “ to their school. Wang talked to Thomas at the Maker Education Conference and to Aaron Vanderwerff, a Maker teacher at LCCS. “We crafted an 8-day journey, and we reached out to teachers to see if they wanted to commit to it,” she said. They did, and OUSD Maker Fellows was born. The dozen teachers in the program, from across the school district, had six meetings in the Makerspace at LCCS to both learn about and participate in the Maker model, beginning with Agency by Design’s “Thinking Routines.” We were instructed to examine the tables where we were sitting and consider each table for its effectiveness, efficiency, ethics and beauty. These were open-ended questions that fit in with the district’s focus on academic conversation. We worked in small groups to create our own tables out of wood. After receiving instruction in operating tools, everyone was asked to handle power tools, regardless of prior experience or level of anxiety, for example, with the powerful but potentially deadly chop saw. After considering the given criteria, our group created a butterfly-shaped table. We also experimented with technology to create our own simple robots with moving parts and LEDs, using simple computer programs. 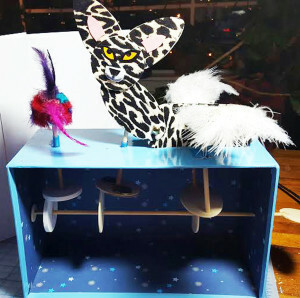 Claudia Goodman-Hough, the artist-in-residence at Redwood Heights Elementary School, who had already made a boat, chose to make a Rube Goldberg-style gear machine with mostly cardboard and caps from dried up markers. 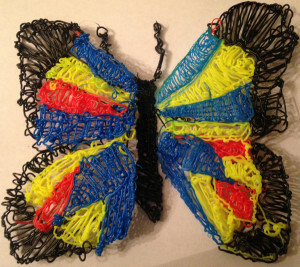 My creation was a 3D-pen printed butterfly with wings that, uh, didn’t quite flap as gracefully as I’d hoped. Wang and Thomas said they hope to continue the Maker Fellows Program, originally funded by the Rogers Family Foundation in partnership with the district, in coming school years. There is definitely a movement to incorporate Makerspaces into all schools in response to changing technology and emerging needs of student populations. Great article. It is so exciting to see all of the innovation, exploration and funding that is happening to truly reform, re-envision and revolutionize education for the students who most need it. Very nice article. I think you captured our experience perfectly.